In summer I will be up at 5am and outdoors until 11pm, whereas in winter I might have to do jobs in the barn in the morning until it’s light enough to go into the fields. It can be a bit of a dull slog on those grey days, but it all begins again with lambing season in spring, and summer is when the valley is at its most beautiful. 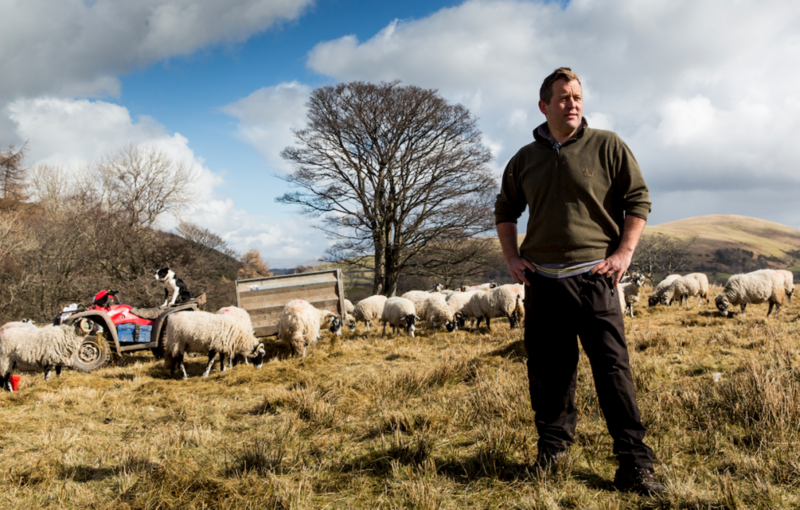 My family have been working the same land for over 600 years – we farm common land in the Lake District fells, looking after Herdwick sheep, which are native to the area and bred for centuries to suit this particular landscape, climate and way of farming. I love the continuity – hundreds of shepherds looked after my flock before I did, and hopefully hundreds will after me. As a shepherd, your whole life is spent making decisions and judgements in terms of breeding the best sheep and looking after your flock – and you also need to intimately know your landscape, which takes a lot of time and skill. Shepherds will often start their unofficial apprenticeship at three years old by following their parents around, and will finish by the time they’re 50! I hold a double first in History from Oxford University, but I use more grey matter on an average day in the fields than I ever did at university. I grew up admiring my grandfather and later my father, and it’s fantastic to be able to carry on their legacy. I lost my dad last year to cancer and take comfort in the fact I’m carrying on his work. I never feel far away from him as I see traces of his work in every dry stone wall, gate and hedge. I’d be thrilled if one of my children decided to carry on my work, but so long as they understand and respect where they’re from I don’t mind what they do. Newcastle University did a study that revealed the average income for a hill farmer in the Lake District was just £8,500 a year. However, I think being able to do something you love is a reward in itself. I live in one of the most beautiful places in the world, enjoy a fantastic quality of life and live a life that means something to me. People think all sheep are the same but that is a huge misconception – they all look different, just as we do. They also tend to hang out in families, and that makes it easier to tell them apart. I know every single one of my 700 sheep and can tell you who each of their mothers and fathers were and sometimes who their grandparents were too. You are going to experience death throughout the year, particularly during lambing season. It’s a bit like being a doctor – sometimes you do your best but the animal you’ve spent all day looking after doesn’t make it, which is one of the most difficult parts of the job. As a shepherd you need to be quite a steady and stoical kind of person – someone who can keep going through all the things the job throws at you. My Herdwick sheep have been selectively bred over thousand of years to be perfectly suited to the particular landscape of the mountains I farm, so you don’t have to feed them. With global food demands set to double in the next 50 years, it’s important we farm in sustainable ways and for consumers to purchase those products.